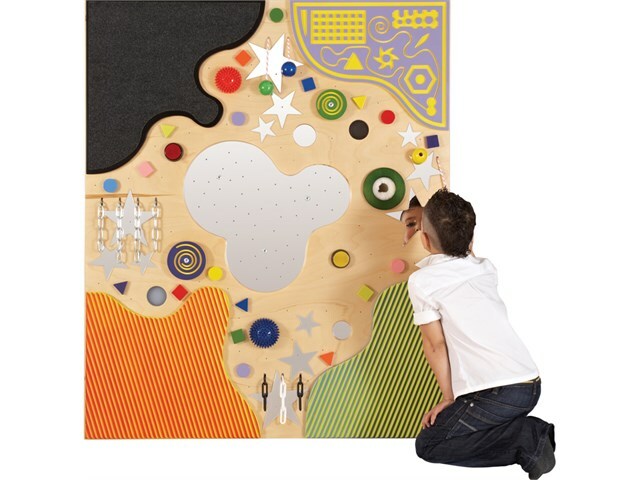 The Fibre Optic Tactile Wall Panel is an interactive wooden board which has been carefully designed for use in a sensory environment to maximise visual and tactile stimulation for learners of all ages. 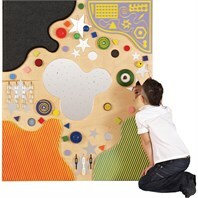 A large tactile board with strong visual fibre optics throughout the panel. Press the red switch to turn on the black fibre optic carpet – a soft tactile sensation with glowing fibres. Another switch turns on a twinkling array of fibre optics dotted throughout the many other tactile experiences. Operates on 240v transformed to 12v. Comes supplied with wall fixing brackets. Dimensions: H145cm x W120cm x D15.6cm.